Register today in the SIG SAUER ROMEO4T Sweepstakes for your opportunity to win the sight used by elite government and military agencies now through Wednesday, February 6, 2019 to participate in this promotion. 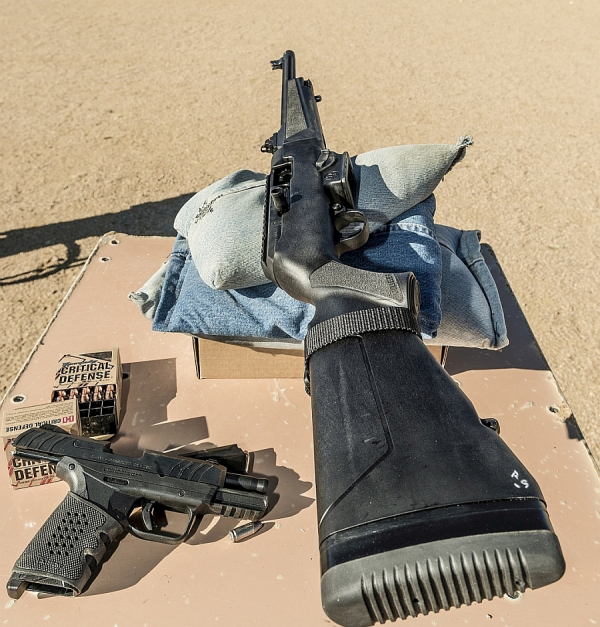 Galco Gunleather announced four new products at SHOT Show: the Paragon IWB, KingTuk Classic, EDC Belt and ATM-Kit (Ankle Trauma Medical Kit). Now through April 30, 2019, Beretta will be running a promotion in which you will be eligible to receive a $75 rebate when you buy any Beretta APX striker-fired pistol. In spite of the recent polar vortex, spring’s long-awaited and popular turkey hunting season is near. To ensure dealers capitalize on this early-year season, Shooting Industry’s February issue features ways to boost sales of turkey hunting guns, ammunition and gear. On Target magazine recently recognized Federal Premium Hydra-Shok Deep with an Editors’ Choice Award for best-of-the-best in ammunition, as part of the magazine’s 17th annual awards program. The redesigned bullet delivers improved penetration to optimal depths and significantly higher FBI protocol scores. Barrett Firearms Manufacturing, Inc. seeks industry experienced product designer candidates. The successful candidate will support the chief design engineer in defining and development of the latest firearms innovations. The Second Amendment Foundation has joined several other parties in filing an amicus brief with the U.S. Supreme Court, asking the court to accept for review a case that challenges the “justifiable need” standard that is at the heart of New Jersey’s restrictive carry law. More than 50 rifle athletes from the United States, Canada, Brazil and Columbia will compete in the Robert Mitchell Rifle Championships February 5 – 10 at the Olympic Shooting Center in Colorado Springs. ZEISS introduces two additional Conquest V4 models, the 4-16x50 with ZMOAi-1 MOA-based reticle, and the 3-12x44 with two reticle options: the ZBR-1 MOA-based reticle with windage correction holds, and the ever-popular Z-Plex reticle. Gray’s Sporting Journal has awarded the GPO USA PASSION 3X 3-9x42 riflescope its coveted Gray’s Best Award as one of the editors’ top choices for hunting and shooting gear for 2019 in Vol. 43, Issue 7 of the magazine. While we’ve seen product style consolidation in the law enforcement/defense pistol markets and the law enforcement/defense rifle markets, a couple of tendencies are appearing – one is quite apparent and the other is a bit of a surprise, a welcome surprise. It takes but a glance at gunmakers’ websites to see that the polymer striker-fired pistol dominates the pistol markets with a spread of other makers jumping onto the bandwagon. Similarly, rifles are either AR-platform for close and medium range use or they’re for long distance shooting using 6-6.5mm cartridge lines. 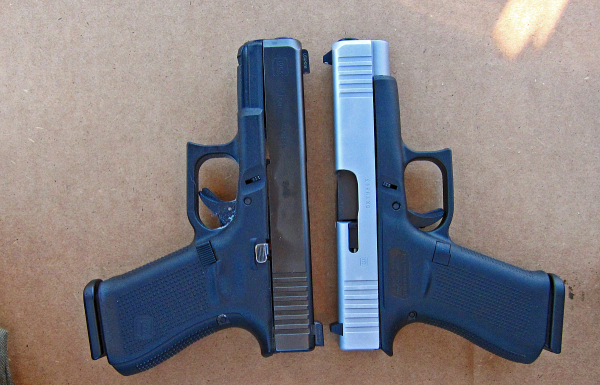 As to those tendencies we’re seeing now, the apparent movement is toward the smaller, more compact handgun. Aside from Mossberg’s surprising MC1Sc and the Springfield Armory 911 – now in 9mm – even GLOCK has moved more deeply into the single-stack auto space with the G43X and the G48. The ‘experts’ all explained why it was a stupid idea. Those who really are experts smiled, hoping that the guns would work and knowing what was about to come. The smaller guns are more likely to be carried regularly. The better a fit they are in terms of size and weight, the more attractive they are to the greatest pool of likely concealed carry folks. This is because most people won’t carry a fifteen-shot autoloader – even if it is the ideal tradeoff between size and capabilities – let alone a spare magazine and/or a spare gun. 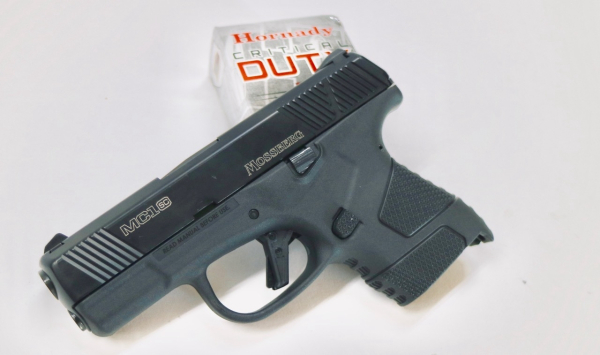 My favorite story about the advent of normalizing concealed carry is about the jazzbo who buys a 13-shot 40 Auto with the low-cost holster of the day and gets his permit. Within a few years, friends who know him ask about his success is carrying such a load. They don't look different in terms of size, until you see the width difference. Putting them loaded upon a scale, tells you another difference. He leaves it at home. When I heard the story, I shook my head. I know he doesn’t have to change a thing to dress around the guns – he’s not of the Brooks Brothers and evening wear set. Looking at current law enforcement costumes – they look less like uniforms – the cops are wearing external vest carriers and getting more of the gear off the belts. They’re using suspenders, spreading the load to the shoulders from the hips. Mostly that’s not due to style and fashion, more due to worker comp claims. Hence the smaller guns. For old-fashioned types like me, the fifteen shot striker-fired autoloader continues to attain with guns like Ruger Security-9 and the newly announced SIG P320 XCOMPACT. 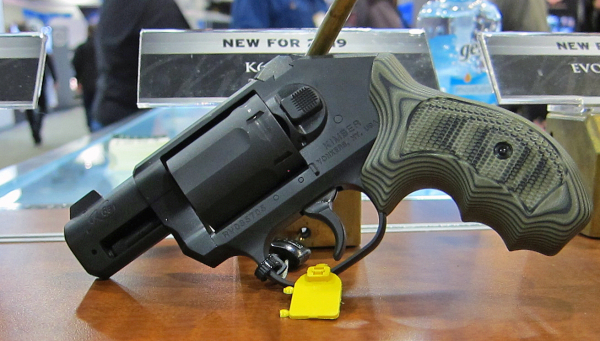 For the newer generation of pistol packer, the smaller guns are taking ground. That other trend is toward commonality. Having unique holsters, magazines and other parts fitting only a single product line can get to be a problem in terms of costs, storage and fitting customers’ needs. We’re watching manufacturers begin to move toward commonality. The Ruger PC Carbine accepts magazines from the SR-9 and the Security-9 (pictured) as well as the GLOCK with a mag well change. Below, the G43X has fit every G43 tried so far - like this rig from Simply Rugged meant for the G43 with the Streamlight TLR-6. Change magazine wells and you can use GLOCK 9mm double stack magazines. Yep, arguably the biggest pool of new and used magazines can be used to run the gun. You can even order up the mag well for the Ruger American magazines, broadening the availability of magazines. I’m hoping they make a mag well for Beretta M92/M9 magazines too. The GLOCK 43x/48 magazines won’t work in legacy G43 pistols – the magazines are different. 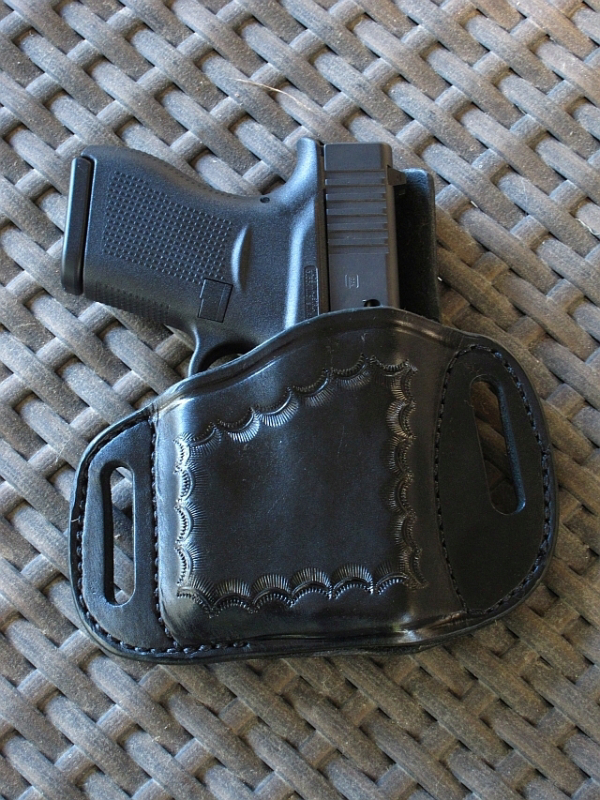 But a G43X seems to fit in most holsters meant for GLOCK 43 pistols – all the holsters I’ve tried so far. The Mossberg MC1Sc apparently fits in G43 holsters. It feeds and functions with Glock 43 (legacy) magazines. In addition to the small size and light weight – appealing to that new group of defense practitioners, the gun takes sights meant for SIG pistols; the sights are SIG #8 compatible. Consolidation is more than shrinkage in the number of manufacturers; it’s a collapse into accepted classes of product and commonality of parts and accessories. This may yet become a real thing in the outdoors industry. © 2019 The Shooting Wire. All Rights Reserved. If you would like to unsubscribe to The Shooting Wire, please click on the following link http://www.shootingwire.com/unsubscribe_shooting.php?email=###email### .